This is a fun and safe class for babies and toddlers, ages 6 months to 3 years. Through repetition and muscle memory, this course aims to teach two main objectives: Safety (introducing skills such as floating, kicking, bubble blowing, and submerging underwater) and water acclimation (through songs, games, using equipment and toys). This class does require consistency to achieve goals, and there may be tears initially- but we’ll teach you tips and tricks to get past that! These little ones can learn 8 to 10 second underwater breath control. 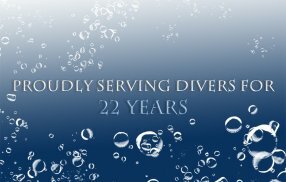 Aquababy is our 2 year old specific class. Children can only be enrolled in this class by graduating from the Baby and Me class first. It is meant for those kiddos who aren’t old enough for our regular swim program (which starts at 3yrs) but the baby class is too easy. These kids are able to be away from mom or day, listen and follow directions. Inquire about availability if desired!! A parent or caregiver is required to be in the water with the child. This class is also great quality bonding time! NOTE: Children under 3 are REQUIRED to wear reusable swim pants/diapers (approved by the Health Department). Due to the failure of disposable swim diapers to work effectively, we must stick to this rule with NO EXCEPTIONS. We carry the iPlay brand in our shop, sizes S, M, L, and XL. It needs to be snug around the waist and thighs. All classes are available for wait lists. *Please note: What you see below is current as of TODAY- it may change tomorrow! So if you can’t find an opening we strongly suggest you still get registered so we can look internally or get you wait listed. Register Online Click this button if you don't see what you're looking for, which allows you to register but not select a specific day/time. Please leave notes in the comment section so we can help you get started!